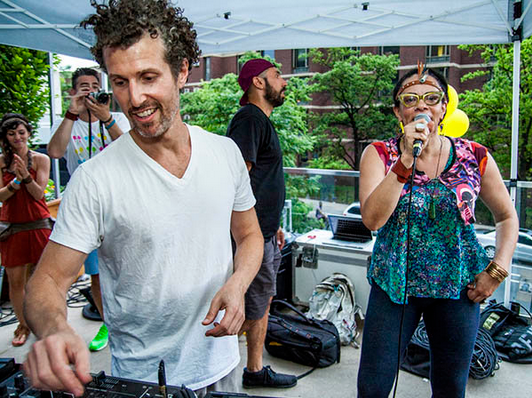 Josh Wink gives an interview on club vs. home life ahead of hometown Halloween gig. 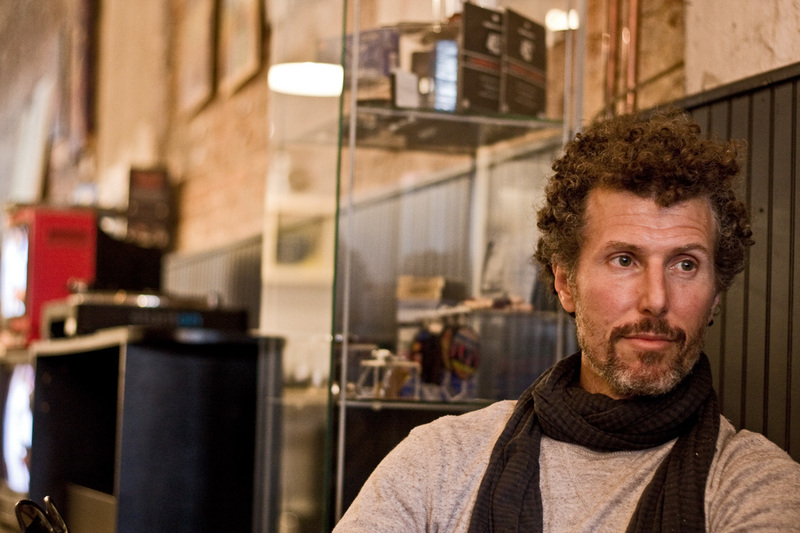 It’s a brisk fall afternoon when I meet up with Josh Wink at Northern Liberties record store Profond Music N Art. Josh has just arrived back from finishing an acclaimed summer residency in Ibiza and is helping organize his son’s birthday party before heading out to Amsterdam the next night. This year marks the twentieth anniversary of Josh’s game-changing anthem “Higher State of Consciousness”, the first instrumental record to ever enter the UK’s top 15 national chart twice in one year. The track burst him onto the international scene and became heavily engrained with the first wave of pre-EDM stadium-packing electronic music that took the US and Europe by storm in the ‘90s. Josh co-hosted a show on WKDU in the 90s called Rave FM, so you know we had to get him to do a station ID for us! Over the years, Josh has racked up a lengthy resumé of transcendental dancefloor smashes, earning him the world’s most sought after DJ bookings, and cementing him as one of the foremost tastemakers in the scene while curating his Philly-based label Ovum Recordings. For all his international fame and travels, Wink keeps a low profile in Philly. 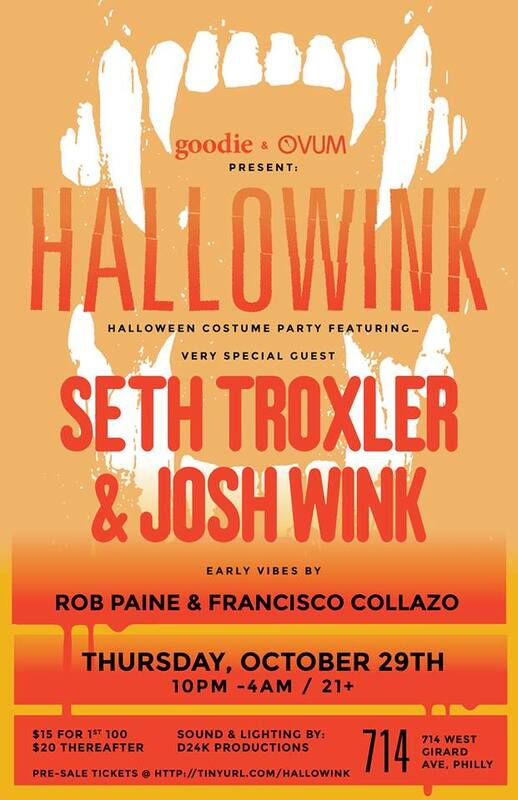 Thursday October 29th is a rare hometown gig for Josh, a costumed Halloween party entitled HALLOWINK at new club 714, which also features special guest and DJ man of the moment Seth Troxler. It wasn’t always the case that hometown gigs were a rare thing for Josh. 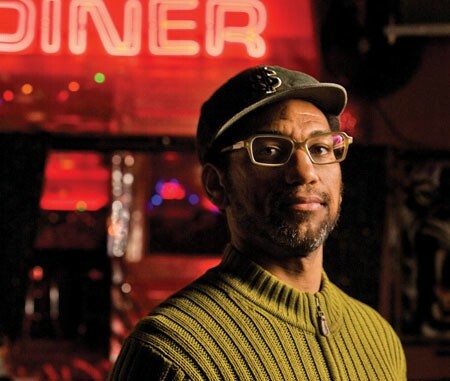 In the ‘80s and ‘90s, Wink was instrumental in reviving the city’s nightlife and creating a vibrant scene for both electronic and neo-soul heads while working with folks like Stephen Starr, who was then a concert promoter and also owned ‘The Bank’ club at 6th and Spring Garden, a building that still exists today. One of the key members of the six-person Vagabond crew was a fellow DJ named Blake that Wink met while working as a bicycle messenger. Blake suggested that Wink meet the import buyer at Tower Records at the time, King Britt, because of their shared views on life. Before Wink and King went on to found Ovum Recordings and pioneer a wave of chart-topping dance hits together, they had a rather dubious exchange at Tower Records. Josh’s set from our 2001 Electronic Music Marathon – converted from cassette! Innovation has always been the name of the game for Wink – from his genre-bounding musical output, to throwing roving parties, to getting into clubs underage as a legal employee (he started as a bar back before becoming the youngest Billboard reporter at age 19). 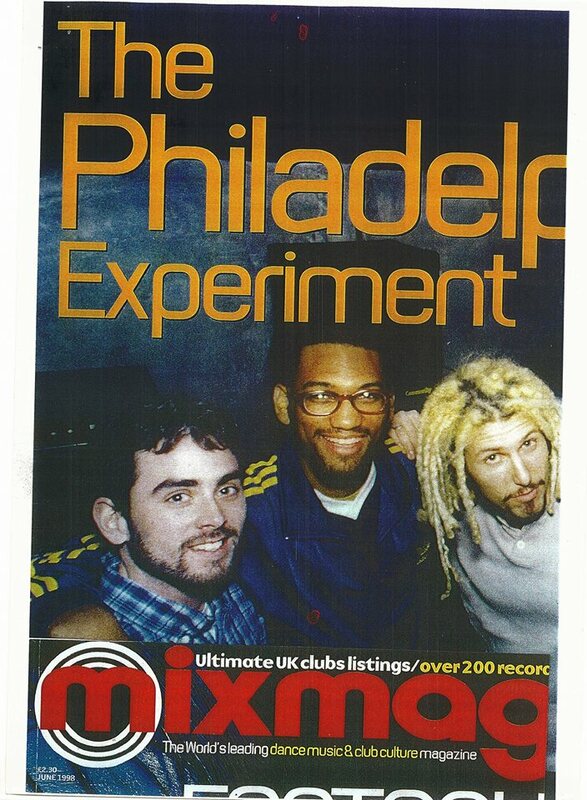 Using the relationships that Vagabond built with clubs across the city, Wink and Blake started the idea of getting outside of the clubs and threw the first warehouse parties in Philly in 1989. Momentum was building at home and beyond and Josh got an offer to DJ a night at Silk City, but couldn’t accept it because of prior gigs. Josh referred King to the job, who evolved the night into the legendary Back 2 Basics party before going on tour with popular hip-hop group Digable Planets. A year after Ovum started, Josh’s massive “Higher States of Consciousness” came out in ‘95, bringing on a flood of international DJ gigs and tour dates that could have easily uprooted him from the area. Our interview wraps up and talk of upcoming label projects returns back to his agenda of getting through Amsterdam and Halloween. 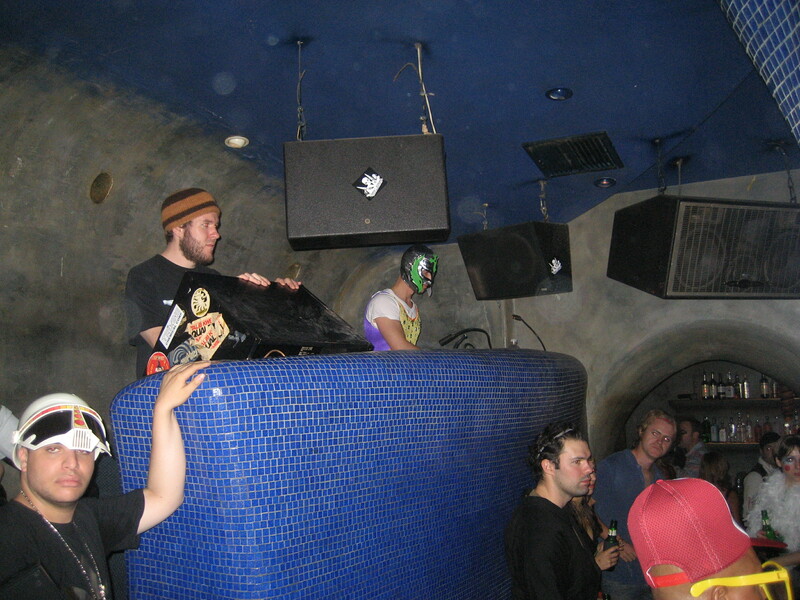 Josh Wink at Fluid in 2007 for Halloween. Catch Josh in costume and behind the decks on October 29th, when goodie & Ovum present HALLOWINK featuring special guest Seth Troxler.